NOW SOUNDS is issuing Magic Touch: The Complete Mustang Singles Collection by THE BOBBY FULLER FOUR. Discussion in 'Music Corner' started by now_sounds, Oct 20, 2018. After a two-year break, WE'RE BACK! Just thought I would spread the word that NOW SOUNDS is issuing Magic Touch: The Complete Mustang Singles Collection by THE BOBBY FULLER FOUR. The CD is shipping to customers on November 30, 2018. • FIRST-TIME-EVER COMPLETE MONO SINGLES COLLECTION! • 16-PAGE BOOKLET WITH RARE PHOTOS AND TRACK-BY-TRACK NOTES! • 21 TRACKS—ALL CORRECT 45 MONO MIXES! • ALL STILL-EXISTING MASTER TAPES WERE SOURCED FOR THIS COLLECTION. The music of Bobby Fuller was an anachronism: a recollection of simpler times set in the fast-paced world of tomorrow. Cast within the tenets of his twin loves, the instrumental surf sound and his idol Buddy Holly, Fuller existed in a moment when all of popular music was rapidly changing. Like Holly, his life was cut short in his early 20s with so much of what he promised artistically unanswered. Although revisionists have unfairly favored Fuller’s more primitive demos and independent releases made in El Paso, Texas over the glossier recordings created by producer Bob Keane in Hollywood, they may be missing the beauty of what these two created together: a perfect blend of power and polish. 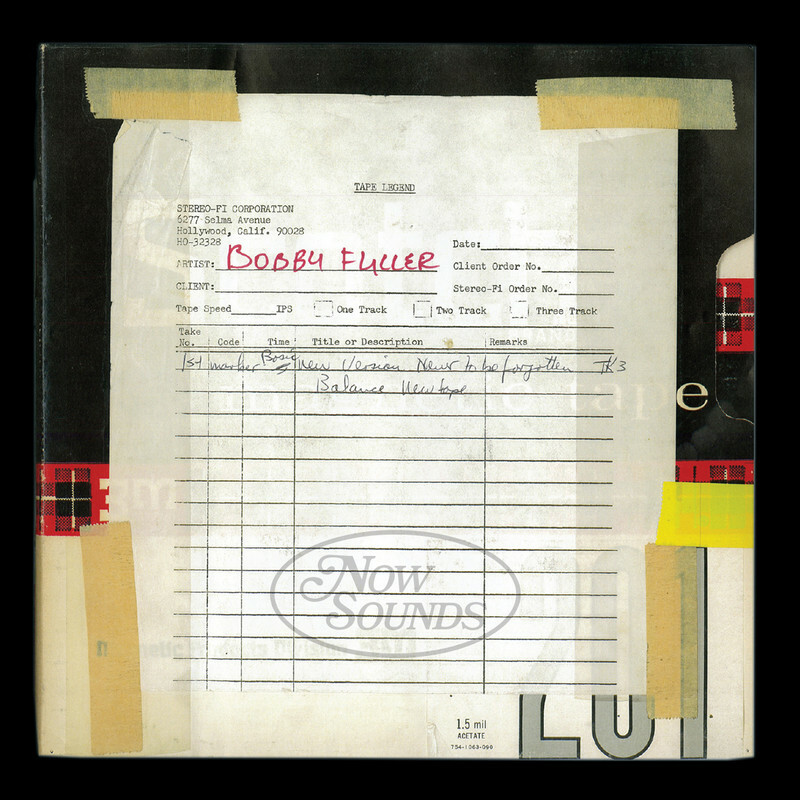 This collection is the first time all of Bobby Fuller’s singles have been made available in their original mono single versions. Fuller fans will notice not only different mixes, but in some cases, different performances and solos making for a thrilling listening experience for the diehard fan and newcomer alike. Also included are long-lost Fuller productions for Jay Horton, as well as three Randy Fuller efforts cut shortly after brother Bobby’s death. The deluxe, full-colour booklet also includes rare photos, and extensive track-by-track liner notes by Andrew Sandoval. Jason Penick, Stone Turntable, Rick Bartlett and 28 others like this. now_sounds and angelo73 like this. Bobby Fuller Complete Mustang Singles in MONO! OK, the other post had some inaccurate info. I'm the producer and label head of Now Sounds, the label that's releasing the CD. McLover, jricc, Stone Turntable and 11 others like this. Did you find that your dreams were your ticket out? At any rate, your careful and cool reissues have been missed. McLover, MarkTheShark, Mr. H and 2 others like this. McLover and now_sounds like this. Six people have already PM'd me asking me what it sounds like, if it's brickwalled, too bright, etc. Hopefully it's none of those things..
MarkTheShark, Electric Sydney, now_sounds and 2 others like this. Are you friends with Alan Brownstein, Steve ? What do you think of his work on the Cowsills reissues? I don't know who he is, have no idea what his stuff sounds like, sorry. Oh yeah, Steve Stanley, welcome back, we missed you and your releases!!! Alan's track record is pretty damn stellar, especially his The Association and The Critters mastering work for Now Sounds. Pelvis Ressley, now_sounds and angelo73 like this. Thanks so much for the kind words, everyone! Stone Turntable, Jamey K, DEAN OF ROCK and 3 others like this. now_sounds, angelo73 and Greenalishi like this. Question: Who merged this thread? Is there a way you could merge the old into my new one? The release isn't on Cherry Red. It's on Now Sounds. Geez, what a mess. I’ll contact a moderator and hopefully it can be untangled quickly. If they can’t unmerge we can wipe them out and you can start over. Give it an hour or two. Patience! Gimmie some time to figure it out! Stone Turntable, now_sounds, Electric Sydney and 1 other person like this. Electric Sydney and Gary like this. Hopefully Now Sounds will continue reissuing more great music, I’ve certainly missed it! now_sounds, Larry Geller, angelo73 and 1 other person like this. I've got the Singles collection on order. When can we expect the Mustang albums in mono? Jamey K and angelo73 like this. Andrew Sandoval played killer S T E R E O alternate take of Magic Touch. I wonder where did it comes from? I hope you will reissue mono albums too! What a way for Now Sounds to return. An awesome singles collection CD. I do wish you folks did vinyl also. Hopefully that Honeys/American Spring/Spring collection is still a possibility! now_sounds and Sammy Banderas like this. I hope the first album and the best of singles compilation of the Mamas and the Papas are next. Also the rare Cascades 1963 album on Valiant label is next for Now Sound future releases.